This traditional cottage just paces from the picturesque harbour has recently been totally refurbished and is a true delight to the eye. Many original features have been retained, including natural wood finishings and all the comforts of home are provided to make your stay a memorable one. Wireless internet is available. Generous bathroom facilities are provided, with an en-suite shower room off the master bedroom, a family bathroom and extra cloakroom with wc (on the ground floor). There is a sheltered sunny enclosed patio area with side access for bikes etc. For foodies there are a number of excellent restaurants in the area, together with freshly cooked lobsters and crab on the harbour front. Entrance Hall - a welcoming hallway full of character with plenty of storage for golf clubs, buggies etc. Sitting Room - A bright sunny room with comfy leather sofa and chairs, lcd tv with DVD and SKY tv. Kitchen - Modern and newly fitted kitchen overlooking the patio with all mod cons., including dishwasher, microwave, fridge/freezer, gas hob and gas oven. 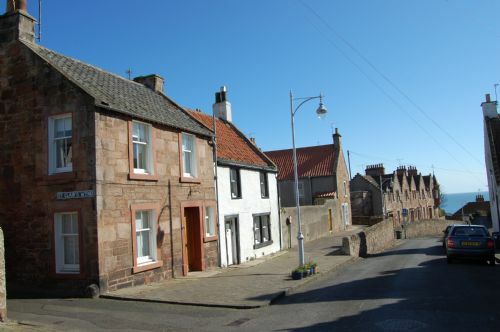 We really enjoyed our stay in Crail. 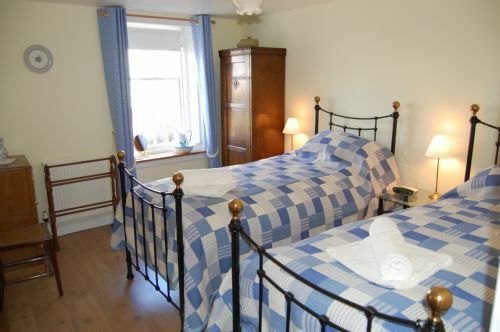 The cottage was very good, spacious, clean and in a great location.